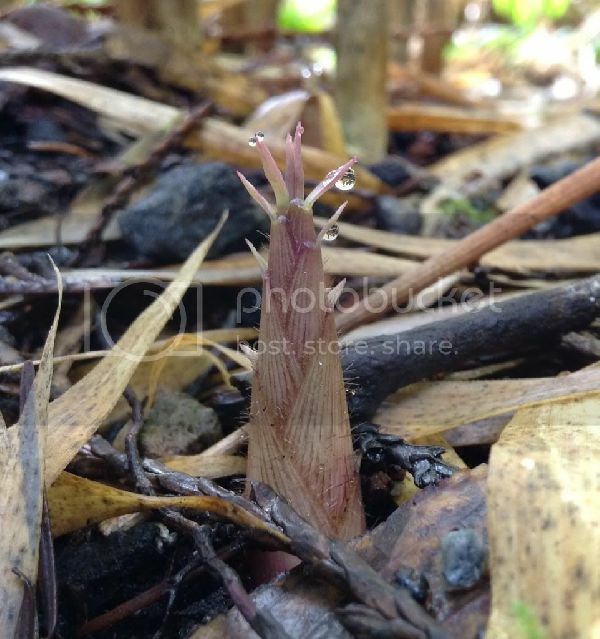 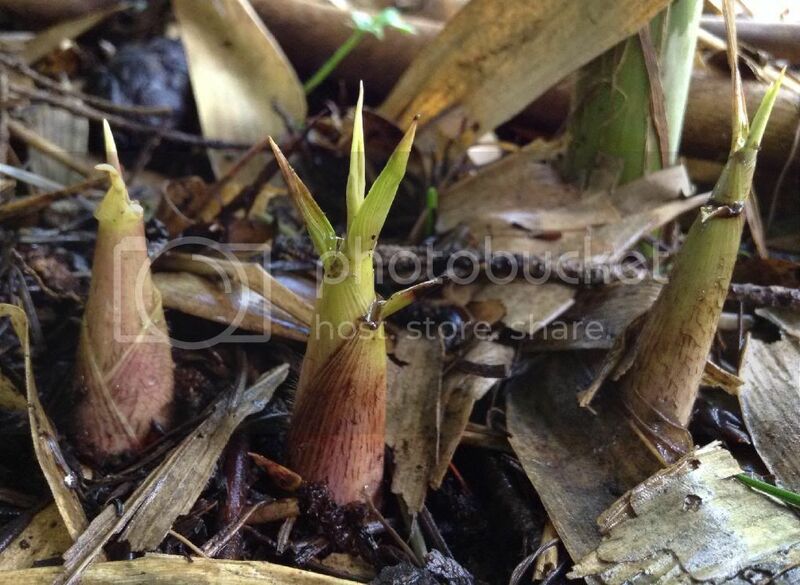 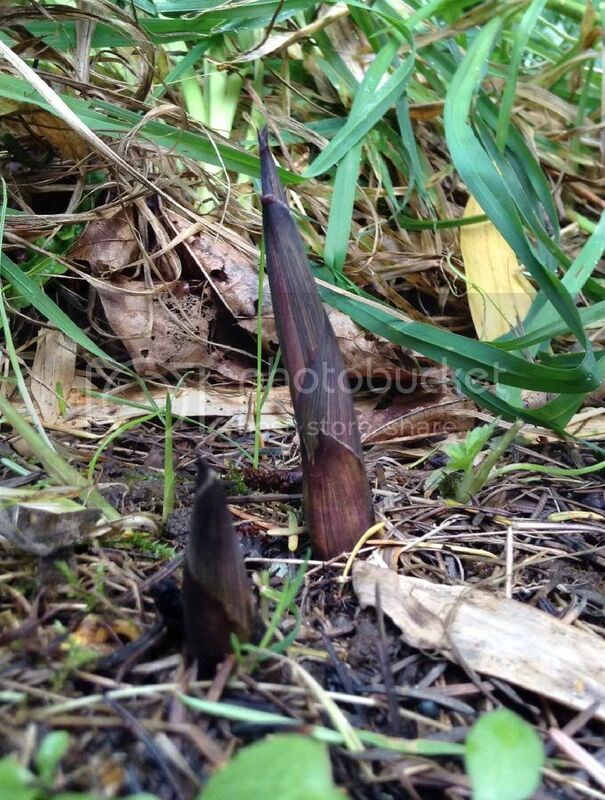 bambooweb.info • View topic - New Shoots, up close. 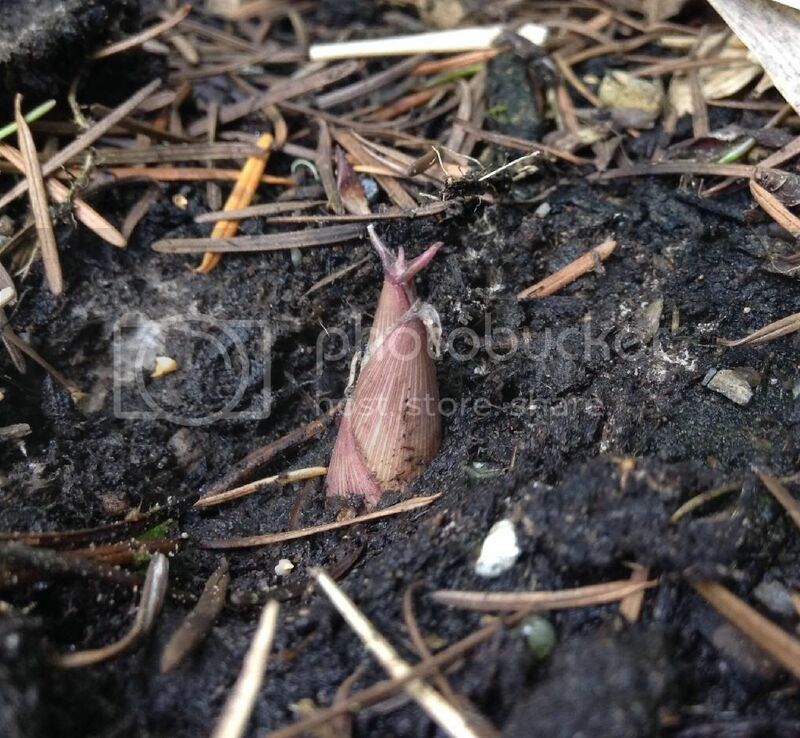 Post subject: New Shoots, up close. Post subject: Re: New Shoots, up close. 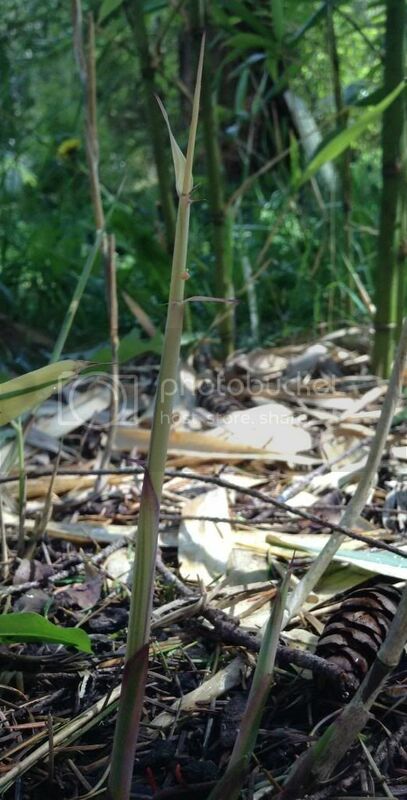 I'm kind of surprised that your fargesia rufa is not shooting any earlier than mine, or perhaps my rufas just happen to shoot way ahead than they should because there is usually 3 more weeks of frost potential. Anyways, here's one up close, not emerged yet. 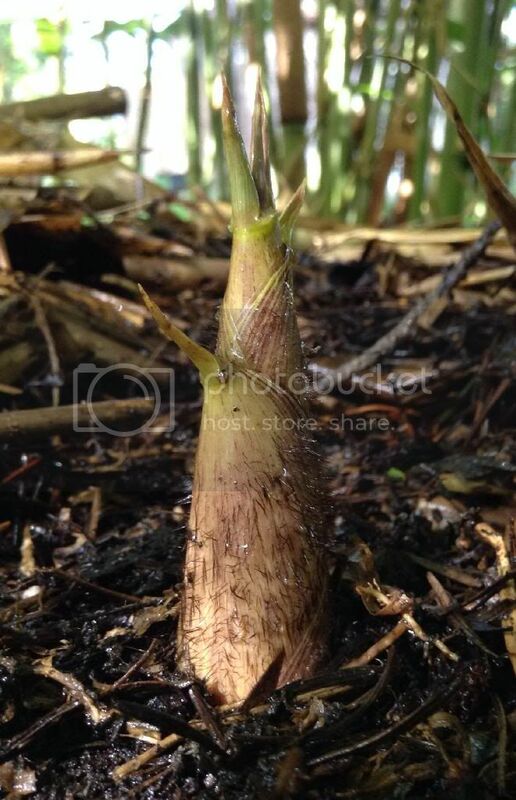 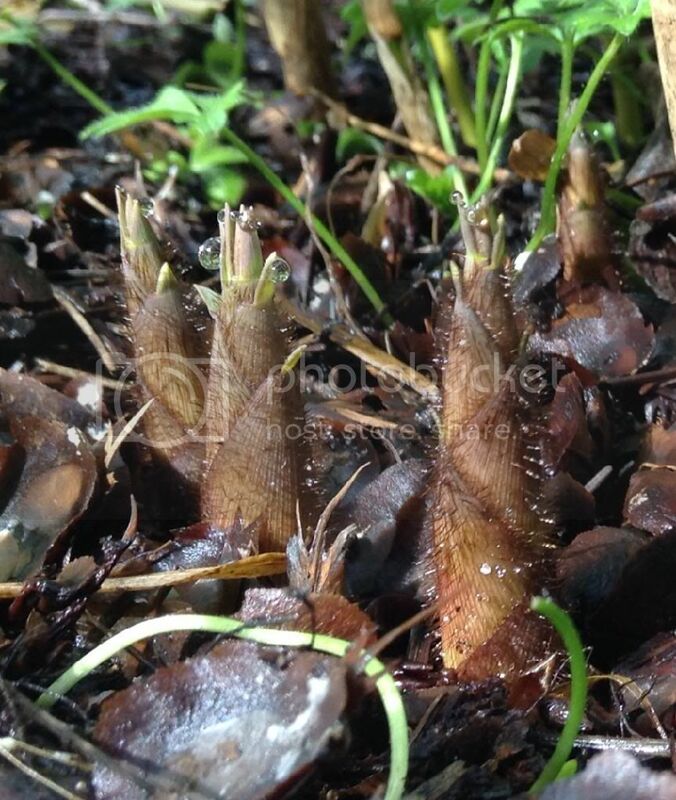 Thats rather large for a Fargesia dracocephala 'Rufa' shoot, even if you account for the submerged "anchoring root". 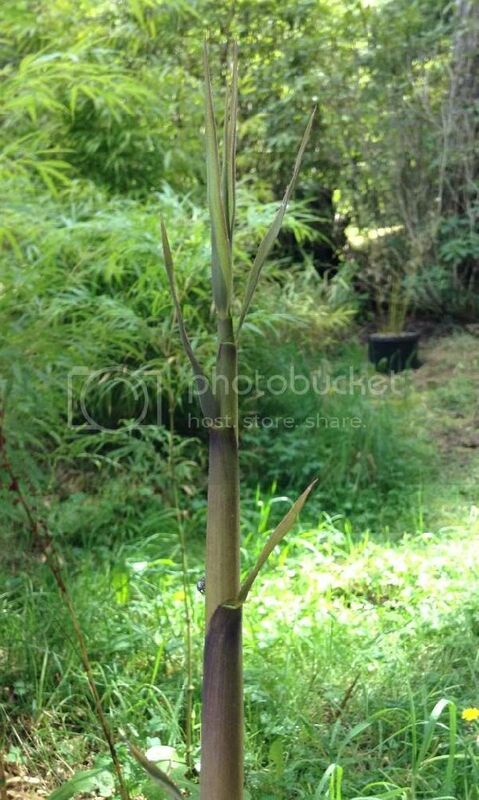 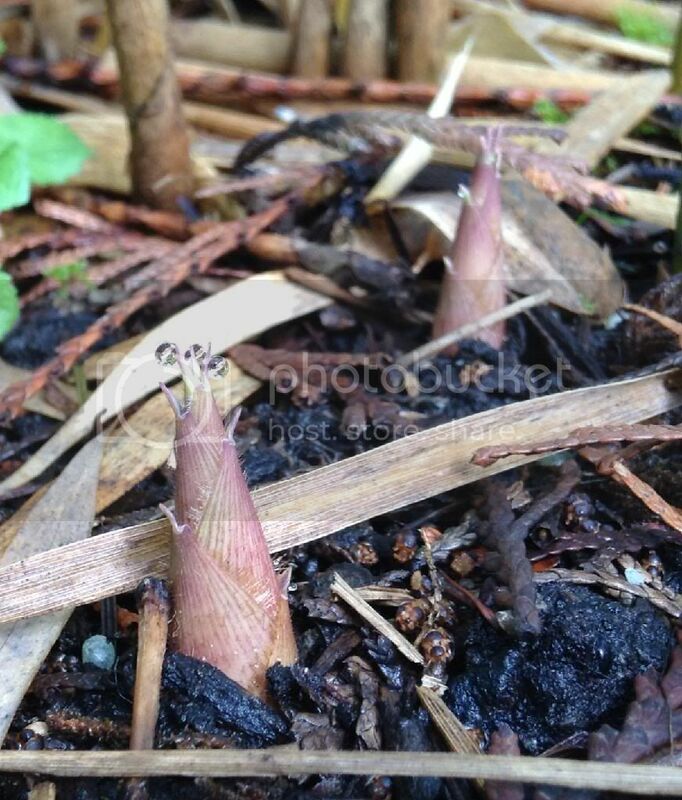 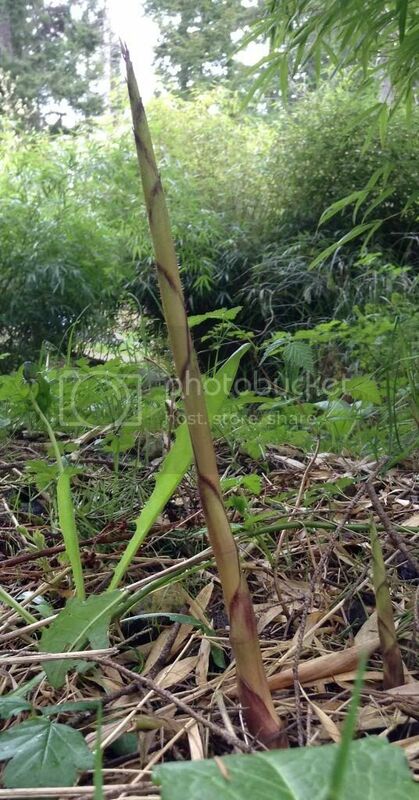 Are you sure thats not a phyllostachys shoot? 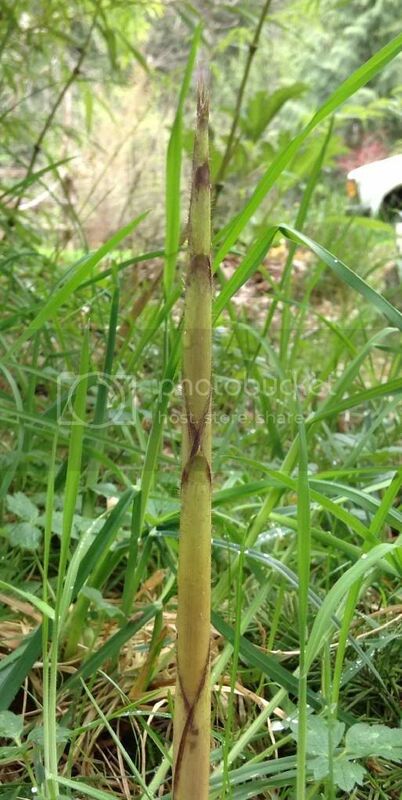 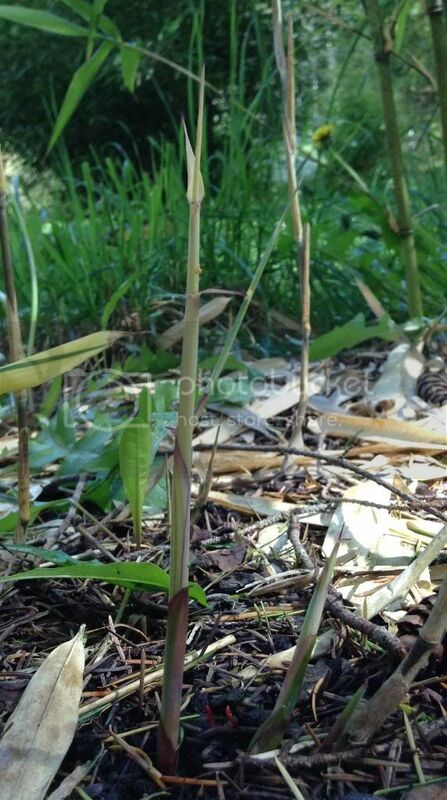 The picture I have does happen to be a phyllostachys shoot bud which won't be up for at least another 3 weeks unless we get a heat wave before then. 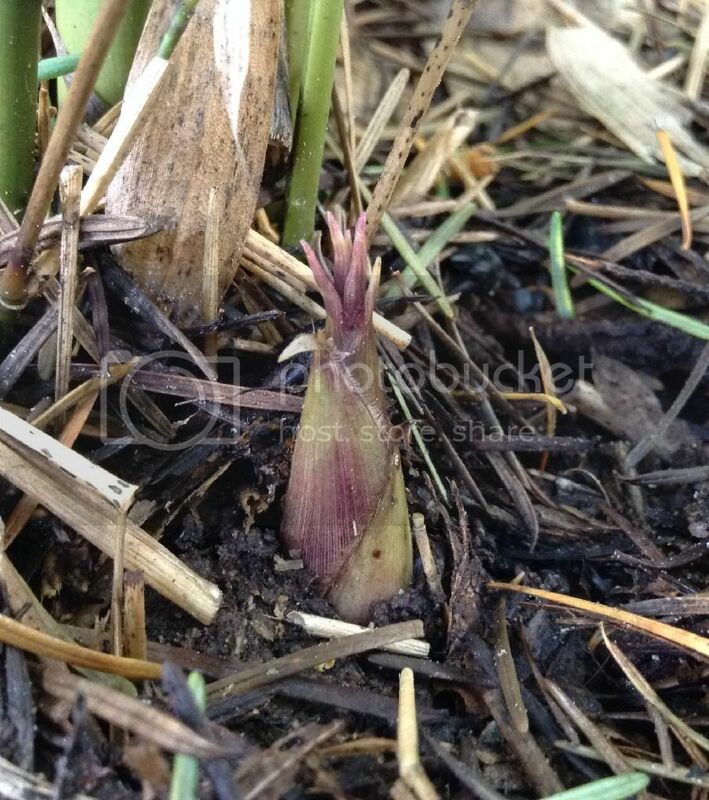 I will generally take rhizome divisions in the month before shooting season when rhizomes get filled with starches. 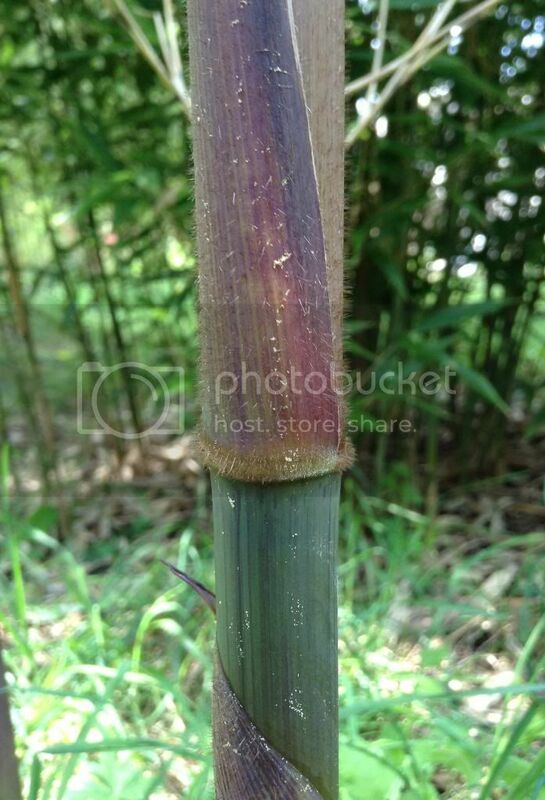 Fargesia rufa is well ahead of this in development by now. 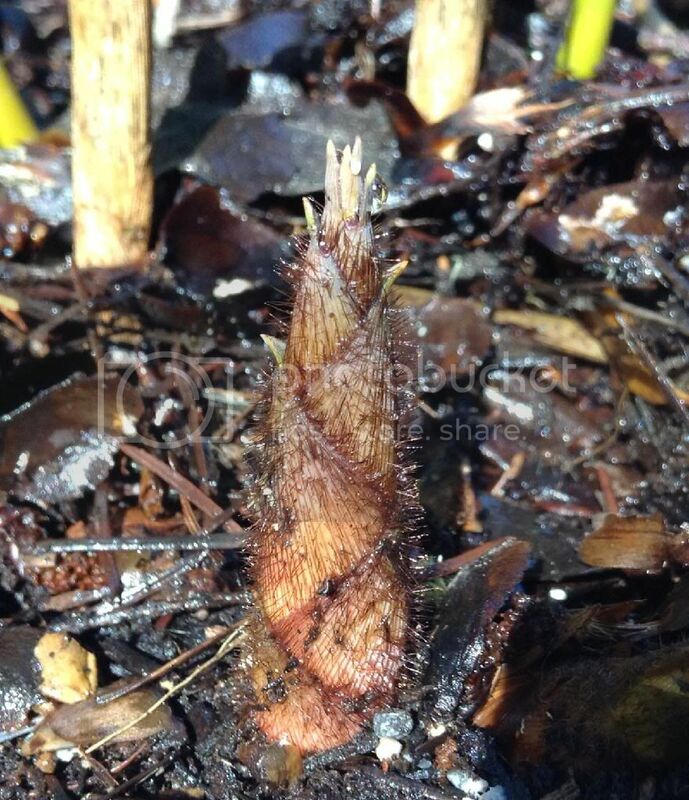 Borinda fungosa culm before branching out - well it sure looks swollen, soon there will be A LOT of new branches.